news The Tasmanian Government has gone to market for an Infrastructure as a Service (IaaS) or private cloud solution that can be used across its operations, telling potential suppliers that any supplied option must be located in the state and that it envisages transitioning most of its services to the environment in the long-term. In tender documents released over the past week, the state’s TMD division, which manages its whole of government telecommunications needs, noted that the state government’s ICT strategy, which was endorsed by its Cabinet in December 2011, stipulated that by 2017, “all common commodity ICT services will be consolidated and provided as a service to agencies”. As a consequence of this, TMD wrote in its new tender documents, the state was planning to issue two new panel contracts — one for infrastructure hosting services, which was to be fairly similar to its existing purchasing structure for such services, and the second — the subject of the current tendering iniative, to cover IaaS, plus some higher level managed services. The state is seeking several major types of services as part of the tendering initiative, ranging from virtualised server environments initially running Windows Server and Linux (Red Hat, Debian, Ubuntu and CentOS) and potentially Solaris, as well as storage as a service in a range of tiers. Tasmania noted that all services should be provided through virtualised infrastructure, although there may be some requirement for dedicated infrastructure in some cases. Backup, business continuity and disaster recovery services ae also to be offered, and some higher level managed services are also of interest — such as managed operating systems, database management, platform/application management and support and so on. It also noted that it prefers that the infrastructure be located in infrastructure hosting facilities covered under its Networking Tasmania II contract — primarily held by Telstra, although others such as iiNet and Tasmanian utility Aurora also provide some services — although the state said that it was open to using other facilities. In total, the tender documents noted that Tasmania expected that its main agencies could eventually use as many as 2,500 virtual servers as part of the IaaS deployment, hosted on some 600 physical services, not counting local school file/print servers, which could account for another 200-250 servers. Some 1900 terabytes of storage could be needed. The news of Tasmania’s major private cloud push comes as state governments around Australia are increasingly moving to adopt cloud computing services. In May, for example, several major New South Wales Government agencies, the Department of Trade and Investment and Transport for NSW unveiled major and wide-ranging plans to imminently purchase Software as a Service-style IT solutions, detailing the new interest in the cloud computing paradigm through tender initiatives kicked off at the time. NSW is also interested in creating its own private cloud solution, similar to the way Tasmania is. The Queensland Government has also publicly discussed the possibility of using cloud computing services to fix its whole of government email woes, and even the Federal Government is getting into the act, with the Australian Government Information Management Office recently conducting a great deal of work in the area. There’s two things I want to say here. Firstly, and most obviously, this is yet another example where an Australian Government is pushing heavily into the cloud. We’ve recently been discussing the fact that cloud computing is now mainstream in the financial services sector in Australia, and all indications are that the public sector is next. However, the second point I want to make is to question whether what the Tasmanian Government is doing can even really be described as cloud computing. Think about it for a while. Tasmania wants its agencies to buy access to virtualised servers and storage hosted in a specific set of datacentres it already has access to as part of its major telecommunications contract. It stipulated those datacentres have to be in Tasmania (not exactly the most cost-efficient solution!). It stipulated that its IaaS services very likely will only be single-tenanted in that the Tasmanian Government will be the only player accessing them (although multiple agencies obviously will). It also stipulated that telecommunications links to those services must be through its existing contracts, and it even went so far as to state that it may need dedicated physical servers (how is that cloud???) and higher level managed services. To me this doesn’t scream “cloud”. It screams “advanced virtualisation” of services the Tasmanian Government already has access to. It screams “consolidation” of resources into a smaller number of datacentres. It screams “centralised purchasing” and it screams “managed services”. But in no way that it really suggest cloud computing. Cloud computing is about giving suppliers more control over all the lesser details of where the actual IT infrastructure you’re using is, and how the underlying platforms work. The customer doesn’t choose how services are provided — they just choose what they buy. But in this case, the Tasmanian Government isn’t giving suppliers any real choice about how they provide services. Almost definitely this contract will end up with the state’s existing major telecommunications supplier — Telstra — and the major difference in how Tasmanian agencies purchase services will be the fact that they are all purchasing services from the same place and aren’t responsible for managing their physical servers or storage any more. As far as I can see, that’s about it — and that doesn’t really fit traditional definitions of cloud computing, to my mind. Why exactly do you assume that this won’t be the most cost-efficient solution? There are a number of very cost efficient datacenter providers in Tasmania already. And I would also say that the assumption that it will almost definitely end up with Telstra is not terribly accurate either. What research do you base these assumptions on? More cost-efficient than Amazon? How much competition in the datacentre space can there possibly be in Tasmania? As for Telstra … it’s a prediction based on following ICT procurement in the Tasmanian Govt over the past half-decade, in addition to the fact that Telstra currently holds the majority of the government’s telecommunications work and will have its network used for the IaaS network connectivity. Telstra has an inherent tendering advantage here and a strong history with the end user. There are actually a few significant data centres running in Tasmania that deliver great bang for buck. Your questions suggest that your article statement had no real backing in fact, which was my primary point. Re Telstra being the incumbant provider, while I am sure they will have a crack at it and no doubt have a decent change, I am not sure they will automatically be the preferred supplier. I can’t remember the exact details but didn’t they just loose a few months ago the Tas Govt unified comms contract? Clearly from the RFT the Tas Government is trying to support local business so I would suggest that the local data centre providers will have a good chance of winning this. curious — what datacentre providers are there in Tasmania? The Tasmanian Govt stipulated Aurora as one of the existing datacentre providers which it would prefer any IaaS provider to be able to host with — so if they won the IaaS contract it would basically be a similar case to Telstra — incumbency etc. Plus they’re actually owned by the Tasmanian government — not exactly independent, and I bet they’re not as efficient as someone like Amazon, or even a large traditional vendor like EDS (HP). Never heard of TasmaNet — big? I wouldn’t call them big but they seem to be a good provider with competitive offerings. They historically provide ISP services, primarily to business I think but I am pretty sure they recently launched a new Tasmanian based data centre. I get the whole big data international data centre thing but sometimes having a face to talk to can make a big difference in the level of service you can get when needed. Really depends what you need I guess. It has been well reported that MyNetFone and Anittel with Cisco infrastructure are the providers of the new IP Telephony services for the Tasmanian Government, with Telstra retaining “traditional” telephony services. I agree with Adam’s comments Renai that a little bit more research was required before making your comments, although we can’t expect you to be across all the details all of the time…. This is why the people responsible for actually implementing this stuff are avoiding the term “cloud” these days. They’re asking for IaaS, which is just one (essential prerequisite) part of the cloud. They will no doubt deploy some pre-packaged apps on this infrastructure, giving them the “SaaS” box to tick. All they’d need to do is deploy some kind of PaaS on it and it would be as cloudy as anything else you’d care to mention. Multi-tenancy is often seen as an important part of the cloud, but then you might argue that “private” cloud is all about avoiding that. Still, for a government org providing services across a wide range of departments it’s not a stretch to say that this *is* a multi-tenant environment. So I’d say that TMD are definitely setting themselves up as a cloud provider here (with the actual infrastructure outsourced to whoever wins the tender), but from the perspective of the departments they don’t get the usual benefit of being able to shop around and choose from among the many available providers. +1 for a good comment. Indeed. “Cloud” (being such a nebulous title) means almost anything to almost anyone, such that it becomes confused for an actual service or solution. Infrastructure and Software as a Service models are really the heart of any such ‘cloud’. These have been around for quite a while. There’s a very simple reason they want a local replica. Bass Strait. It would be no different to mainland users wanting local replicas within country boarders; it ensures no cable cut can quarantine data elsewhere; which is entirely the point of a ‘cloud’; risk mitigation via redundancy. That this typically means the end consumer doesn’t have to care where the data is, is simply one facet and benefit. It’s still, at heart, a distributed client, server model. Modern day mainframe. It’s a bit assumptive to presume Tasmania doesn’t have some sort of localised data center capacity? I’d have expected there was a fair bit of local hosting going on (doubly so given bass-straight cable prices). 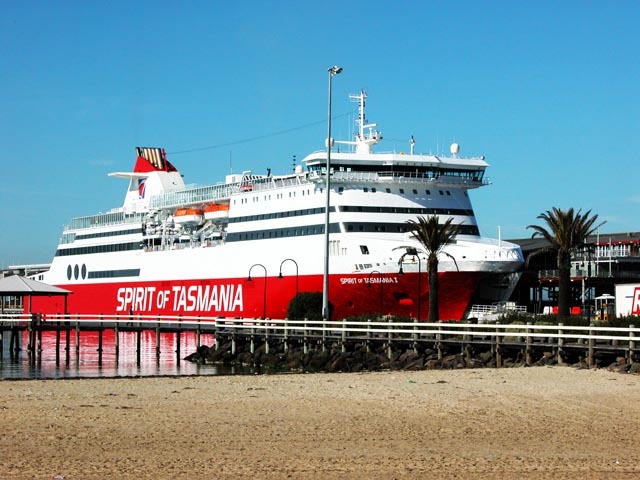 If you plan to read or research much about Tasmania one of the first things you will discover is that they have an aversion using the same form of English that the rest of the country uses. Tasmanians like to redefine words and then expect the whole country to understand their new meanings. It’s like a sport down here. If the rest of the country and world use “cloud” to mean one thing Tasmania will without doubt use “cloud” to mean something different, then argue with the rest of the world that the Tassie meaning is correct. Also, I heard they all have two heads, and still run everything on C/PM. Yes all absolutely true. And I should add we’re all married to our relatives too – ( spoken by my second head ). I agree with your comments that this is not really Cloud, it is more like a traditional outsourcing deal. The tender is open for about 8 weeks (over Christmas) and it is expected that bids will be evaluated and a contract signed in two months. This is naive. Someone should tell them they are dreaming. Government ICT tendering is a slow process this, being a new style of initiative will be even slower. in attachment 1, section 3.5 Service Volumes it says, effectively – we cannot tell you how much of anything we will buy. We can tell you what we think we might buy over the next two years but we could be completely wrong. The implication of this is that potential vendors will take lots of risk with no guarantee of ANY business. A major issue involving any service procurement, cloud or otherwise is service levels. Attachment 2 Draft Service Level Agreement is simplistic and indicates a lack of awareness of the difficulties of creating and agreeing service levels. An example is the issue of dependency. If a service cannot be provided because of external reasons, a prime example being actions taken by the government in provisioning or using the service, then is the vendor to be held responsible? There is a dispute resolution process but it lacks clear definitions and agreed responsibilities. It’s a lawyer’s delight – arguments are likely to go on for ages. From a distance, cloud services looks like a good idea. Unfortunately, the devil is in the detail, and whoever put out this RFT, IMHO, doesn’t understand the details of government ICT procurement. It’s harder than it looks, which is why governments keep stuffing it up. To me, the issue is not to argue over interpretations of what is and isn’t strictly cloud. The question is will this deliver the core benefits of a ‘cloud’ approach – robust, secure, low cost utililty style computing? Looking at the details here the answer is it will probably come close, however the insistence on datacentres being in Tasmania will inevitably limit the benefits the government could get – some suppliers just won’t bother bidding so they will lose the choice and competition they could have benefitted from. They won’t benefit from the economies of scale and competition that could otherwise be possible. David, as noted in a previous comment, the issue of competitive backhaul across Bass Strait will be a significant driver of the “must be in Tasmania” requirement. And yes, this will limit the benefits for the Government (and all other businesses). Just check out the recent industry comments regarding NBN connectivity. And yes, Tasmania would love to build their own cars, and have the heavily government subsidised vehicle manufacturing industry that a couple of other states currently have. This is a good example of the struggle that governments face in approaching cloud services really. The pure proposition of global-scale public cloud services will ultimately deliver the best innovation and productivity outcomes … but there are many constraints relating to broadband access, local economies of scale, service availability, legacy inertia, economic development objectives, procurement policy and risk management conservatism etc. etc. etc. The challenge is to have a vision of the future and to try and construct procurement policy which uses government’s demand to move things in the right direction and accelerate the transitions. My view is that the vision should be to safely participate fully in a global digital economy sooner rather than later. The policy should create incentives for agencies to accelerate their adoption of public cloud services in order to drive innovation and productivity in agencies and also high-value-add skills and capabilities in the local ICT industry. If we look to the future the skills that will add value to the economy will revolve around implementing, securing and integrating cloud-style solutions to drive innovation … not running sub-scale and under-invested infrastructure in wire cages. Our Tassie friends would be better off pursuing a vision of consuming and exporting high value-add digital services to the world rather than walling themselves off within the false comfort of their own dedicated localised infrastructure. The easy-out at this phase in the evolution of cloud services is to revert to closed ‘private cloud’ style thinking … (safer/better to be closer). The problem is that this is really just a perpetuation of the status quo with-a-bit-of-virtualisation … it is a dead end once the brutal economies-of-scale of global and national cloud services become fully apparent. New Zealand has similar issues regarding telecoms cable constraints/risks … but the strategic vision has to be to create the incentives necessary for improving connectivity to the global digital economy … rather than fixating on local self reliance. Existing on-shore infrastructure likely already provides sufficient capacity for services that must stay on-shore and as a backup/DR scenario. The goal should be accelerate cloud services adoption in order to benefit from the huge investments being made by the market leading cloud service providers … rather than seeking to pool meager local resources for investment in dedicated local solutions … no? .. but the strategic vision has to be to create the incentives necessary for improving connectivity to the global digital economy. This is reliant on the market and platform being in agreement; traditionally, the Bass Strait has seen a monopolistic vertically integrated network owner solidify it’s position, thus capacity is often a challenge. Anyone building a new network, has to contend with the elephant in the room (sudden price drops to compete are pretty common tactic); this makes it, commercially, an “iffy” situation to build something across the strait. Which, obviously, precludes wide-scale adoption when the bottle-neck and risk vector is bass straight connectivity; chicken, meet egg. I don’t believe, in that context, it’s unrealistic to expect a certain parochial view being taken to where services may be sourced.